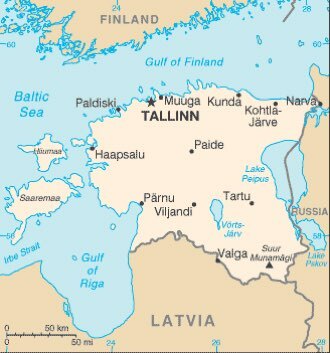 Estonia : When and where to go? Rains are more frequent in September. On the temperature side, in winter, they are close to -5 ° C and can go down to -20 ° C, while in summer the average is 18 ° C, sometimes up to 30 ° C. The best time to visit the country is between June and August, especially since most festivals take place in summer. However, the Christmas period can be a real enchantment in the capital, with the Christmas markets and its fir on the square to respect a custom centuries old. Estonia is located less than 100 kilometers from Finland, and its small size does not prevent it from offering the traveler a lot of charm and authenticity. Between traditions and modernity, you will discover sites full of originality. Tallinn first, its capital, which knew how to keep its medieval aspect, between bell towers and turrets, cobbled lanes where one is lost. It nevertheless has buildings with a resolutely modern architecture, comfortable hotels and art galleries, which contrast with the wealth of historical traces of the city, including the perfectly preserved wall of enclosure. You can also see the Russian Orthodox Alexander Nevsky Cathedral; The castle of Toompea, seat of parliament; The Estonian art museum housed in a former 18th century mansion; The baroque palace of Kadriorg and its park where abound lilacs, chestnut trees and oaks; The square of the town hall which is full of cafes and restaurants in summer. The island of Hiiumaa is about twenty kilometers from the land, and you will probably appreciate its peaceful environment and its coasts, especially the ornithological reserve of the Bay of Kaina. Saaremaa, a little further south, is the largest island in the country, but it has kept its wild aspect due to its small population, and is therefore highly sought after by tourists. Do not miss the national parks: Lahemaa, in the north, is the largest and you will discover cliffs and deep forests, lakes, waterfalls and mansions, beautiful villages and fishing port. Soomaa is home to swamps where legend has it that witches hide, but you can camp there and fish without fear, and even take lessons to learn how to build your boat and leave with! Finally the island of Abruka, as beautiful as tiny, sparsely populated, shelters the zoological and botanical reserve that opens only in summer and offers horse rides and guided tours. A valid ID card is sufficient for EU citizens. The euro is the currency in progress. You can reach Estonia by plane to Tallinn airport or Tartu airport (flight Paris / Tallinn takes less than 3 hours and costs less than € 400). You can also borrow a bus from Paris, even if it is not very comfortable. To travel around the country, nothing is worth the car (which you can rent easily) because the traffic is very fluid and the distances are small from one point to another, with roads in good condition. Otherwise, you have an efficient network of trains and buses. In summer, one can easily use the bicycle given the flat relief. In cities, buses, trams and taxis are easy to find and inexpensive. The budget is more important if you stay in Tallinn because the accommodation is expensive. For the rest of the country, you can find rooms around 50 €, and eat for a little more than 10 € per meal. Entrances to museums are not very expensive, usually less than 5 €, and transport is really very inexpensive. As for health, it is advisable to drink bottled water, even if the tap is drinkable. It is recommended that you have your current vaccinations up to date, but also add those to hepatitis A, typhoid, tick-borne encephalitis in Central Europe. To avoid tick-borne diseases, remember to cover your arms and legs properly when you walk through the forest. As for security, there is nothing special to report, except to remain cautious in certain quarters a little out of the capital, especially at night (the port, the station). Shopping: you can bring back many handicrafts such as dishes, clothes chests and wooden toys, wool sweaters with jacquard patterns, embroidered tablecloths, amber or silver jewelery, cranberry liqueur.